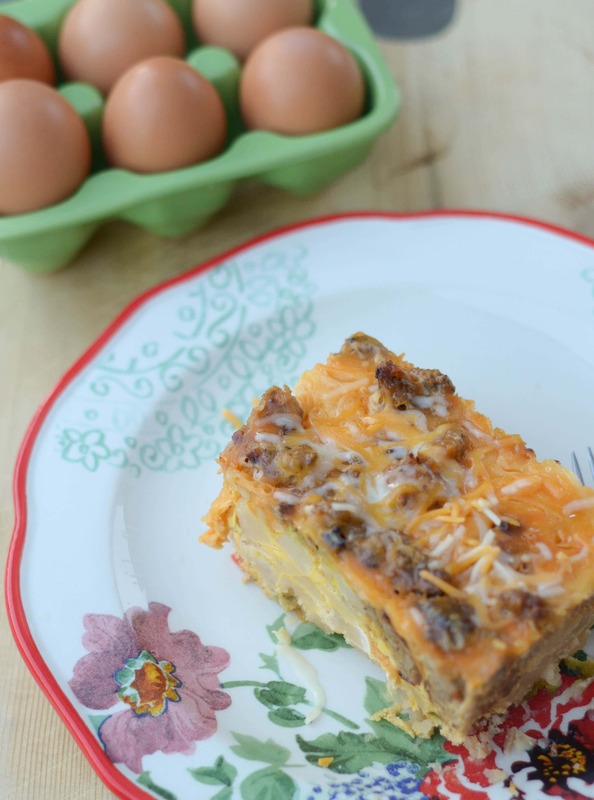 This Slow Cooker Overnight Breakfast Casserole is perfect for any morning of the week! 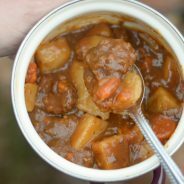 A few months back, my friend mentioned to me this simple slow cooker casserole recipe that we should try. We ended up making it on a camping trip, which worked out perfectly. 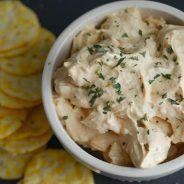 It was so tasty, but I knew I could add a few more ingredients to spice it up just a bit. 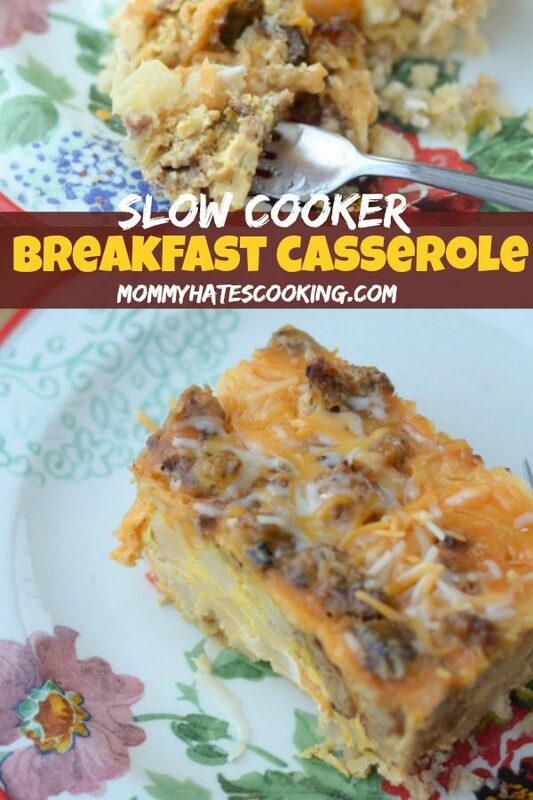 How do you make Slow Cooker Overnight Breakfast Casserole? One thing my husband and I felt was missing was the sausage and the spice. I do not like spicy foods so not that type of spice, more of a bit of seasoning such as sage and fennel. 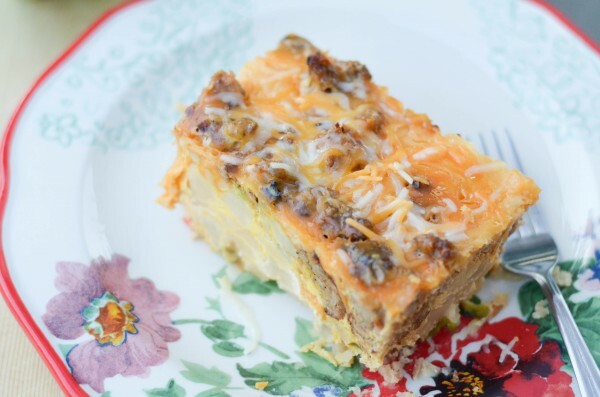 I knew that I could easily make this tasty and even better using Great Day Farms Organic Eggs too! 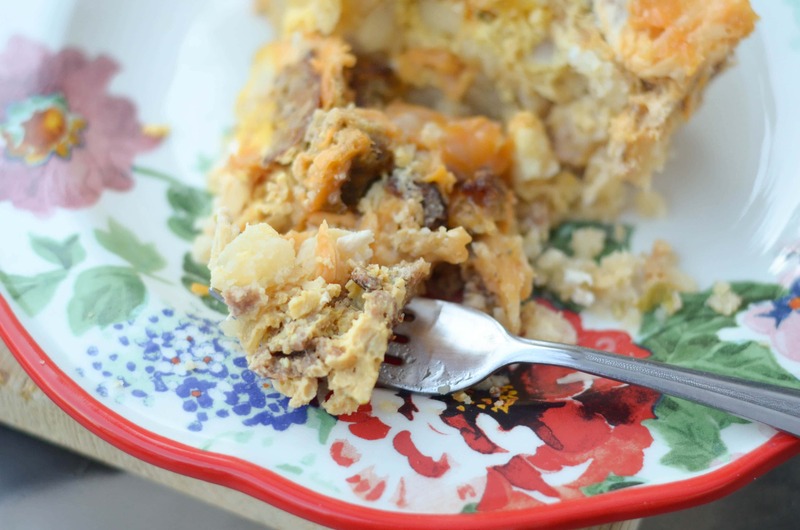 Now, the absolute best part of this casserole is that you can put it in the slow cooker right before you go to bed at night, wake up the next morning, and your breakfast is ready. It’s like a breakfast fairy worked super hard overnight to make this delicious dish, but really you are the fairy. We can all think that we have a fairy, right? I mean, my husband once mentioned to me that he thinks I must hire someone during the day and just not tell him because he can’t figure out how I do it all…hmm. A maid? Wouldn’t that be nice! 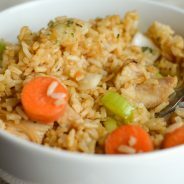 This dish is super simple to make. 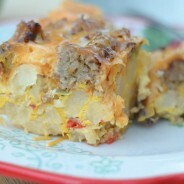 I decided to use pork sausage crumbles, along with diced potatoes, cheese, and egg. I also added a little fennel and sage for flavor to the sausage. Ready for breakfast? Put it in the slow cooker tonight, and tomorrow you will have breakfast ready to go! Then, head out and pick up the ingredients so that you have breakfast ready to go when you wake up in the morning! In a 6-quart slow cooker, spray it with non-stick spray; place the potatoes in the bottom. Next, place the ground sausage on top and then the fennel and ground sage. Top it with the cheese. Pour the beaten eggs evenly over the entire dish.